Book Description: Regardless of what you are doing, you should do it well. “The Professional Self-Publisher’s Quick-Start Guide” aims to help you self-publish in a way that is beneficial to your readers, to businesses that want to sell your book, and to you. Melinda Martin has consulted with and designed for over 300 authors. While the topics “get your book professionally edited and designed” are covered, this guide extends beyond that and focuses on the business end of publishing. Save time, money, and tears by getting industry-standard answers and advice in one place from a full-service book designer. 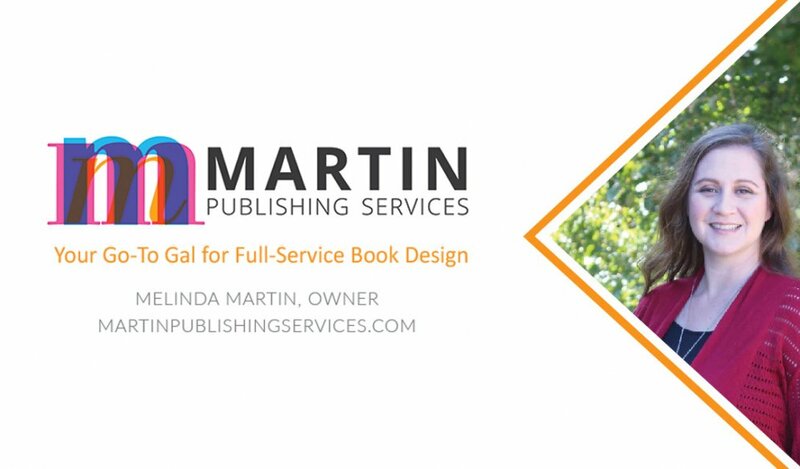 Author bio: Melinda Martin owns Martin Publishing Services and is the go-to gal for full-service book design. She has worked alongside over 300 authors and indie presses to help them publish with pride. A native Texan, she believes in creating a friendly atmosphere for learning and networking. The very active Self-Publishing Support Group on Facebook provides a rich community for over 2,800 authors, designers, editors, publishers, and marketers.